-Several versions of this film exist, all of which are incomplete. 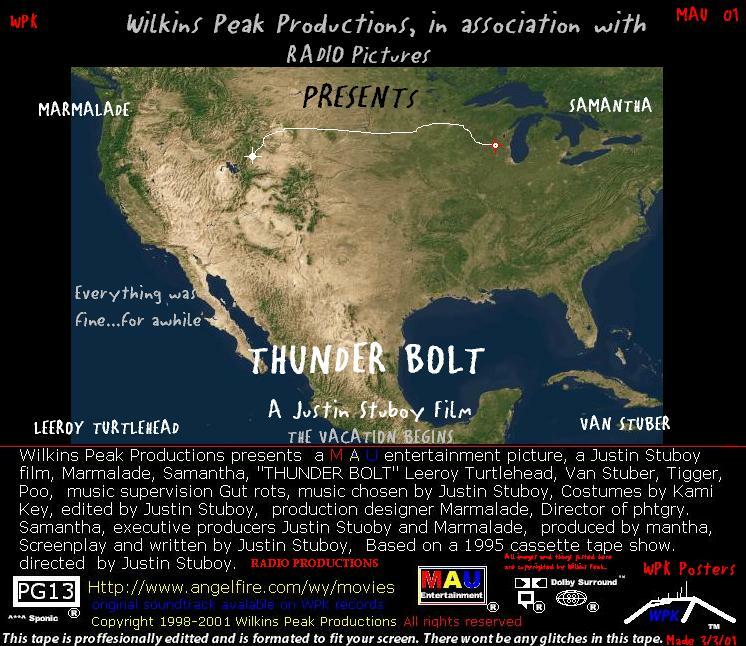 -First Ubstudios film made in various states outside of Wyoming. -Originally based off of a cassette tape version of the story. -Several of the movie was story boarded. -Revealing- The main Lego used changes designs for only one shot. This was because the original scene was accidentally taped over and the original Lego could not be located in time. -Continuity- In various traveling scenes, people in the vehicle are seen. It is supposed to be a story of two cats traveling across country, not humans.